This week in The Tenacious Tribe I’m doing a bit of myth busting and this one is a biggy. I know the deal. You want coverage. You want reach. And not just on Facebook, but the wider social-sphere. The real world. It’s all for a good thing too. As well as making you the dosh you want for that coveted freedom, you want to make a big positive impact on the lives of others. Am I right? But right now it’s not happening. It’s not happening because you feel like there are just too many hoops to jump through. Too many people to get through to get featured in HuffPost, or on Thrive, or even that talk you long to give. It feels like a mountain to climb. And quite frankly you aren’t wearing appropriate shoes. Little miss self-doubt is having a party on your shoulder and you’ve started to listen to her a bit too much. Who would be interested in your message? Well, I’ve got some good news! 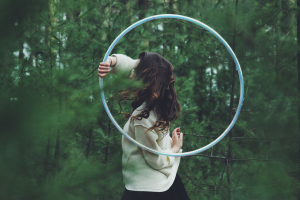 You don’t have to jump through hoops to get featured in newspapers or publications. doors to do that talk. 1. A bit of smart thinking – thinking strategically goes a long way to cutting the queue. Who is your ideal audience? What do they really need to hear right now? How can you help them with your unique story and message? Get specific on WHAT you have to say. 3. Courage – to know that your message and ideas are worth sharing, that people will benefit far more from hearing what you have to say than you keeping quiet. Surely that’s worth giving it a go?